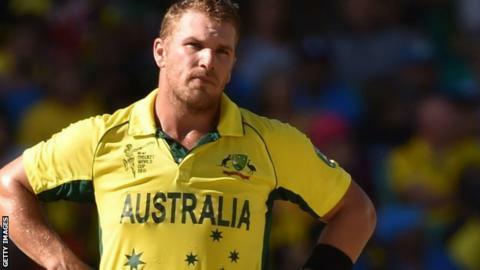 Australia batsman Aaron Finch has been ruled out for three months after having surgery on his left hamstring. The 28-year-old had been scheduled to join up with Yorkshire at the end of May but suffered the injury playing for Mumbai Indians against Rajasthan Royals in the Indian Premier League. Finch scored 291 runs in five County Championship games for Yorkshire last summer. Meanwhile, seamer Ryan Sidebottom is likely to be out for six weeks. The 37-year-old injured his calf in the opening victory over Worcestershire last week. "It is disappointing news for Aaron and for us. We were hoping he would be with us in May, but that is not going to happen," said director of cricket Martyn Moxon. "Plans are in place to fill the void that Aaron will leave. We hope we can get this sorted sooner rather than later, and remain confident we'll find a replacement for the County Championship and the T20 Blast."